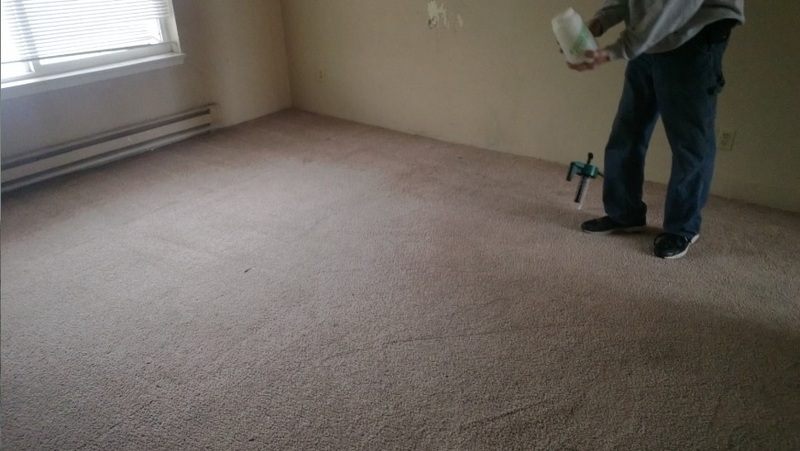 Years ago, First Rate Property Management started using SmartStrand carpet like what you see below. Most of what we use is speckled and has a high and low cut. The color specs and height variations help hide stains and traffic wear and added to the characteristics of the carpet itself, it should save owner’s thousands. Below are before and after photos provided to us from our carpet company, Great Floors. This is the flooring of an apartment unit. The floor on the left obviously looks very bad and if it didn’t come clean, it would need to be replaced, which would cost the owner over $1,000. But because SmartStrand was used, the carpet came clean. A lot of Landlords and production builders use the cheapest stuff. It looks good until it gets used because the carpet fibers fray, crush, and mat down. They also stain very easily. So even if it is stain free, it just doesn’t look good. SmartStrand certainly isn’t the most expensive and it too can succumb to neglect. But it appears to be a better alternative to the super cheap stuff. Speaking of super cheap stuff, because of First Rate Property Management’s volume, we have secured the best pricing available. That’s right, you won’t find the same carpet for less anywhere else. 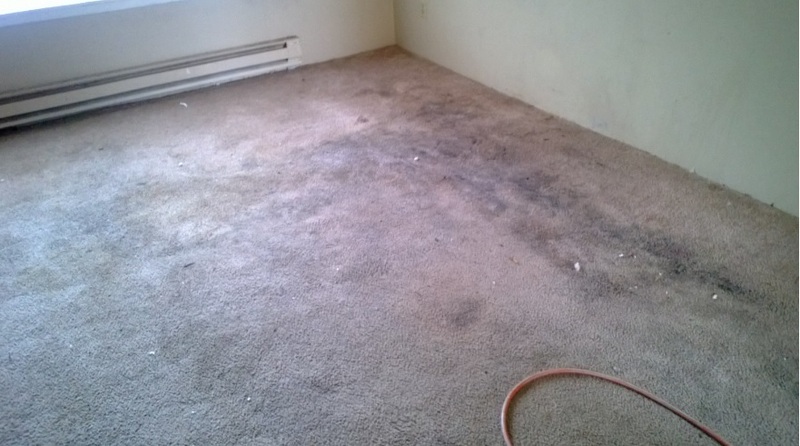 One other recommendation First Rate Property Management has, is to offer free carpet cleanings at lease renewals. For one, the offer of the carpet cleaning is very appreciated by the tenants and they too feel appreciated by the owner. The other reason is that dirty carpet can really damage the carpet. As people walk, the dirt grinds at the fibers or mats down, giving the carpet a dirty appearance. Even if the carpet comes clean, it looks old and dirty. Mohawk leads innovation in sustainable flooring with SmartStrand® carpet with DuPont™ Sorona® renewably sourced polymer. In a partnership with DuPont, this carpet exclusively offers fiber made with Bio-PDO™ (the key Sorona® ingredient), which is produced from corn sugar. By utilizing this new ingredient, 37 percent of Sorona® is being made from renewable resources. This marks the first time that a luxuriously soft carpet offers durability and stain protection, while also making less of an environmental impact. • The production of Sorona® polymer requires 30 percent less energy than the production of an equal amount of nylon. • Greenhouse gas emissions from the production of Sorona® are 63 percent lower than nylon manufacturing. • This energy reduction results in approximately one gallon of gasoline saved per every seven square yards of carpet. It goes without saying that SmartStrand can be found as a major component in inspired homes everywhere.